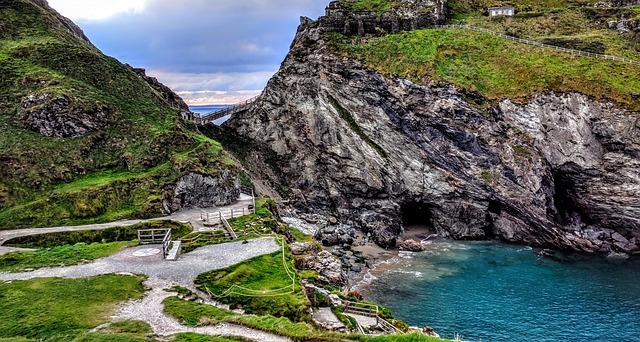 The Cornish cream tea is a traditional staple that everyone needs to try, so if you're taking a trip down to the Cornwall area over the holidays, now is the perfect time to get discovering! Versatile, sophisticated and effortlessly simple, the classic combination of scones, jam and clotted cream can be eaten at almost any time of day due to their light and refreshing taste. 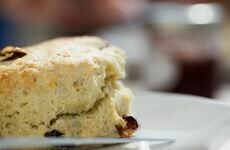 So to get you inspired, we have put together a list of the best places to sample that perfect Cornish cream tea. Overlooking the beautiful Bedruthan Steps and the stunning North Cornwall coast, this classic Cream Tea comes with a view. Full of history and idyllic scenery, the café started life as an old mining stable - now those wonderful traditions have become a unique and unmissable part of the Carnewas Tearooms. Handmade every morning, their scones use a family recipe and the best quality ingredients available. During busy times they make over 300 scones a day and combine it with strawberry jam from Hogs Bottom, clotted cream from Williams Dairy and top it off with a great cup of tea! Located in a picturesque countryside location, the Lanyon Tea Room features an array of delicious staples that really give you a flavour of traditional Cornish delights. 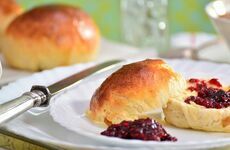 Great value and gorgeous to look at, their Cornish Cream teas feature softly baked scones, classic strawberry jam and authentically thick Cornish clotted cream with a hot pot of tea. And not that we think you need any advice, but we've put together some tips on the best way to eat a cream tea over here. Set in a breathtaking location with a wonderful coastal view, this is the ultimate place to indulge in your favourite cream tea over the summer. With a menu full of Cornish goodies, their plump oven-baked scones, fluffy Cornish clotted cream and lashings of strawberry conserve have garnered a huge amount of admiration, and if you visit, it's not difficult to see why. Halfway between St. Ives and St. Just is the bucolic farmhouse setting of the Rosemergy café. Complete with a green countryside backdrop and a stunning seaside view, this family-run business offers a lovely range of homemade produce, including aga-baked scones, clotted cream and jam sides to finish off your favourite cream tea. A perfect location for hikers, dog walkers and cyclists looking to get that cream tea experience while you're on-the-go! Known as "Cornwall's Hidden Treasure", The Fowey Hotel is situated in a lovely location just off the South Coast of Cornwall. 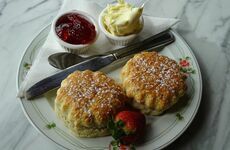 The perfect place for having a quintessential Cornish cream tea, you can enjoy the views and treat yourself to two homemade scones, locally made strawberry preserve, genuine Cornish clotted cream and loose leaf tea.